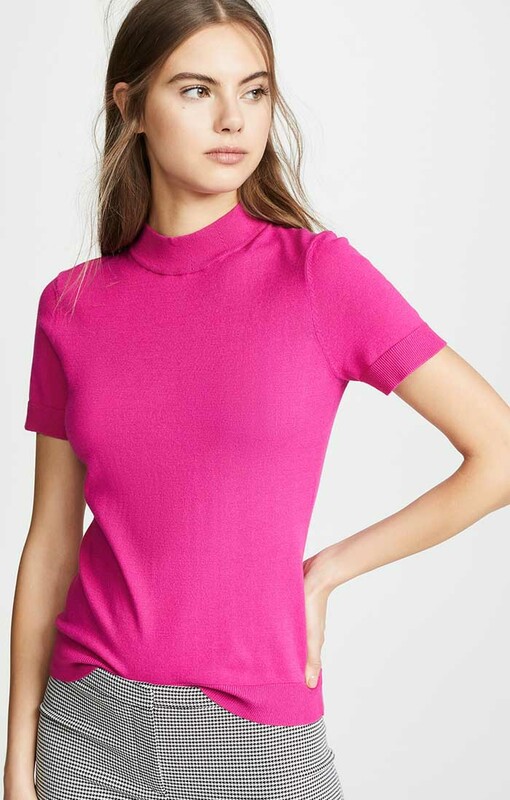 Samara Weaving gives us style inspiration which proves that the audience at a fashion show can inspire us as well as the models on the runway. The jeans outfit she wore to the Louis Vuitton show during Paris Fashion Week is an inspiration for a casual jeans outfit that’s definitely not ho-hum. 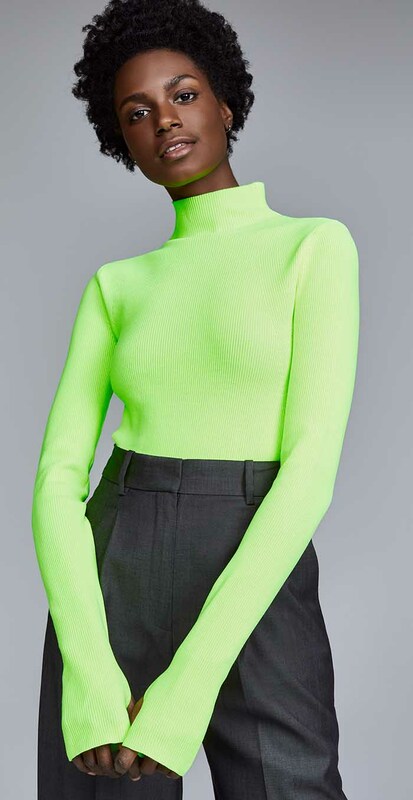 The red turtleneck, the Louis Vuitton blue blazer and jeans, and the silver-toed black pumps and handbag make a polished and chic jeans outfit. 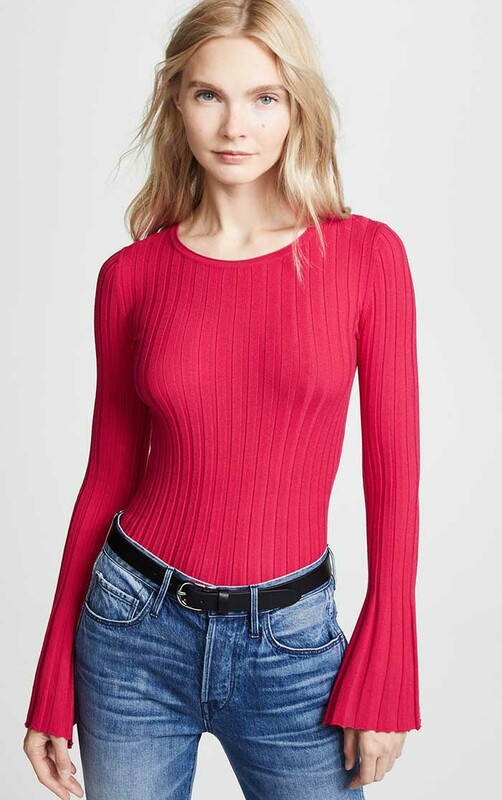 But I picked two components of Samara Weaving’s outfit as inspiration for a casual outfit with jeans – the colorful knit top and check print jeans. A close-up of the Damier print with “LOUIS VUITTON PARIS” emblazoned diagonally in one of the checkerboard squares. 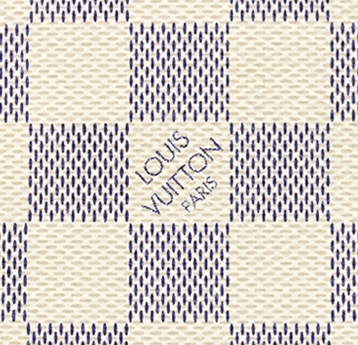 Here is a detail of the Louis Vuitton Damier Azur print used for Louis Vuitton handbags and accessories. 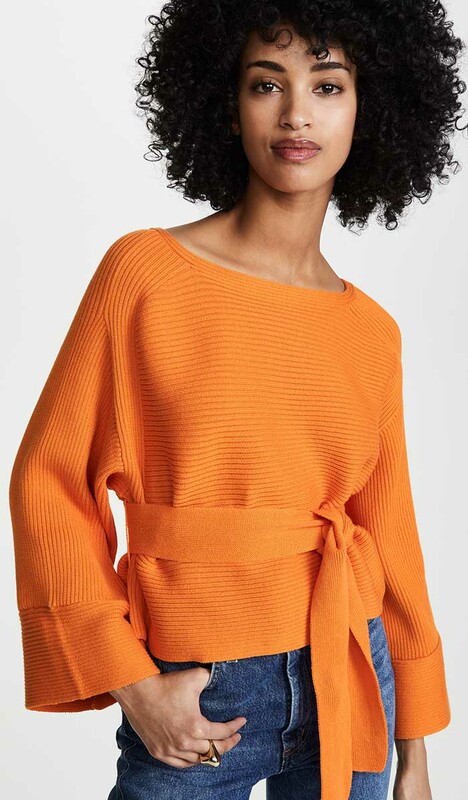 These ASOS jeans create a check print pattern by an overlay of overlapping, semi-opaque horizontal and vertical stripes. The visual effect is evocative of a tartan print. 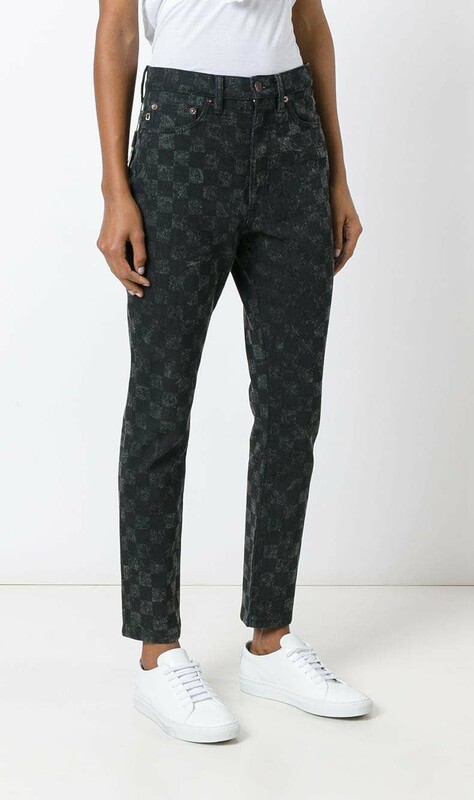 These Marc Jacobs jeans form a checker print with squares in different washes of denim. A checkerboard pattern is formed from black denim and an acid wash denim hues. 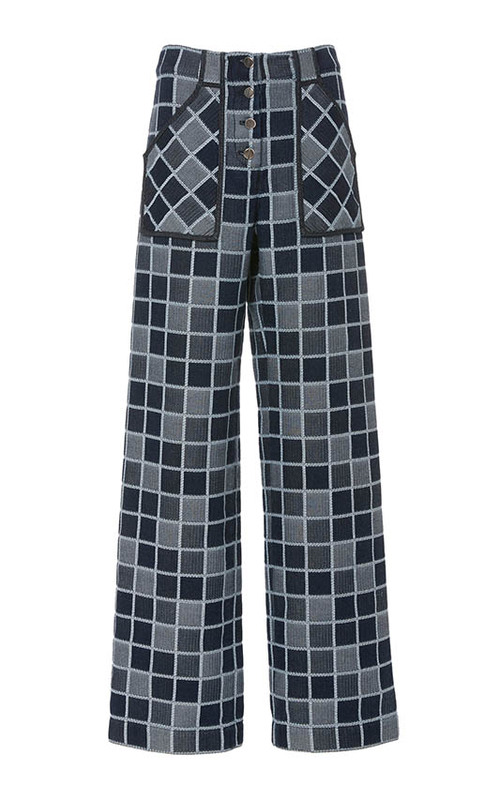 These Rosetta Getty wide-leg jeans have a checkered pattern made of higher contrast, multi-toned squares. 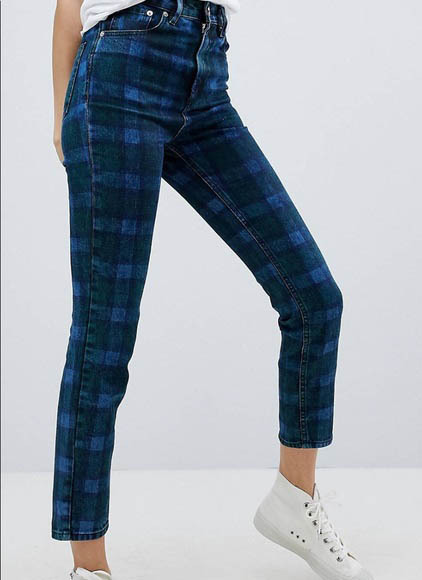 If you’re more reserved and can’t quite do a bold check print jean, try these B SIDES Arts Embroidered Mid-Rise Straight-Leg Jeans. 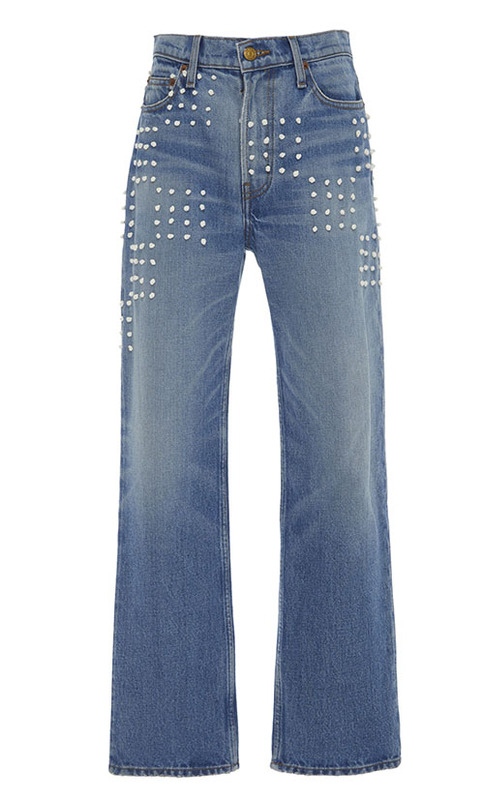 Just a hint of a checkered pattern with a few embroidered squares across the upper part of the jeans. 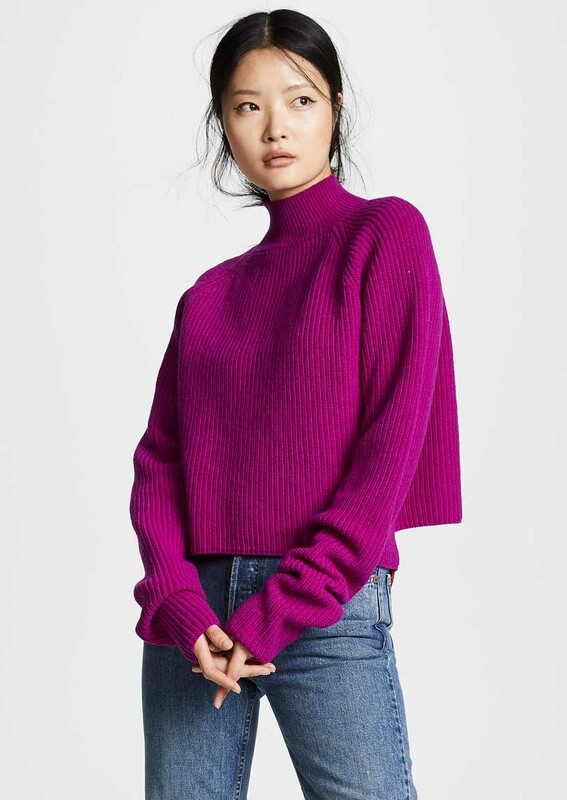 You can’t easily go wrong with an assortment of colorful sweaters and knit tops that will get you noticed. 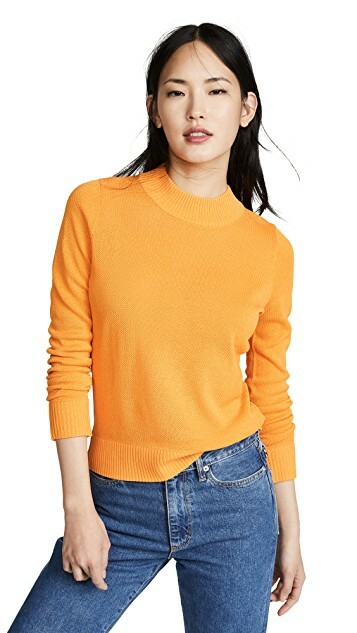 Bulk-up your wardrobe for 3 seasons and pick different weights of knit tops/sweaters for spring, fall and winter wear.